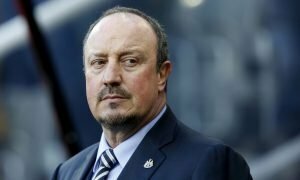 Newcastle United manager Steve McClaren has two games to save his job | The Transfer Tavern | Where football transfer rumours fly or die! Newcastle United fans playing darts here inside the Football Transfer Tavern are discussing reports concerning their manager’s future at the club, and it has certainly got all the Magpies fans here deliberating! The Daily Mirror is reporting that Steve McClaren faces a review with the board after the next two games, the problem for McClaren, is those next two games are against both Liverpool and Tottenham Hotspur. Pressure has grown on McClaren due to the club’s poor start to the season, which sees them lying low in the relegation zone and battling for Premier League survival. They go into this weekend’s game at home to Liverpool after suffering a crushing 5-1 defeat at the hands of Crystal Palace, and with Liverpool in form, it’s hard seeing Newcastle United coming away with a positive result on Sunday. “I know what the process is and I know what the job is. We know what needs doing. “Will we be given time? We need to get results to keep that going, we know that. 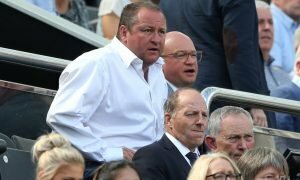 The Newcastle fans in the Football Transfer Tavern know that the club are in dire straits at the moment, but they don’t lay all the blame at the feet of McClaren, and think the board should start looking at themselves with regards to where the club is going. Our landlord feels that Steve McClaren needs to be given money to spend in January, as it is evident the club needs to be injected with a fresh crop of talent to help rejuvenate the beleaguered side. Newcastle United fans……. What do you make of this news? Should you sack Steve McClaren? Let us know your thoughts and opinions in the comments below!